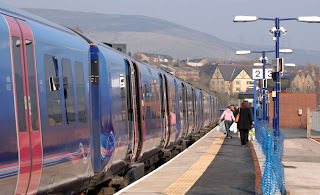 A joint venture by Greater Manchester Passenger Transport Authority (GMPTA) and train operator TransPennine Express (TPE) has started, which will see £675,000 spent on upgrading facilities at Stalybridge station. Work at the station commenced last year that aimed to fully overhaul the building at a cost of £1.5 million; it saw platforms raised to make access onto/off trains easier, improvements were made toilets, information services and shelters on the westbound platform. The money pledged by GMPTA and TPE will go towards the renovation of the ticket office and waiting area. Passengers will soon benefit from a new glass-fronted waiting area, with seating and customer information screens giving train departure information. Pedestrian access is also being improved along with the taxi pick-up area and disabled parking. 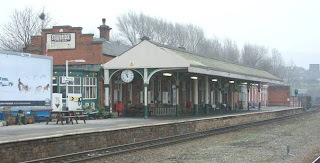 Stalybridge station is one of the most used stations in Manchester, with 13,500 passengers using it each week. It was built by the London and North West Railway and is the terminus of a Parliamentary service, operating on Saturdays only from Stockport. 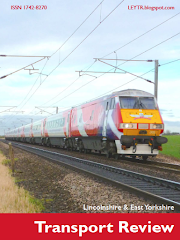 This service operates in this direction only and is the legal minimum service requirement to avoid the costly legal bill needed to close the line to passenger train services. We have one such example in the LEYTR area - the Saturday only Grimsby Town-Sheffield timetable via Brigg, Kirton Lindsey and Gainsborough Central - the latter station recently posting passenger numbers lower than Watford West - a station that is actually closed!